Good morning! Happy Friday! Although the week is nearly over, my to-do list is a mile long. But, I can take comfort in knowing that I have some leftover cookies to enjoy to keep me happy through the day. Today, I'm joining along with a bunch of fabulous foodie bloggers for the 4th annual Christmas Cookie Recipe Swap! 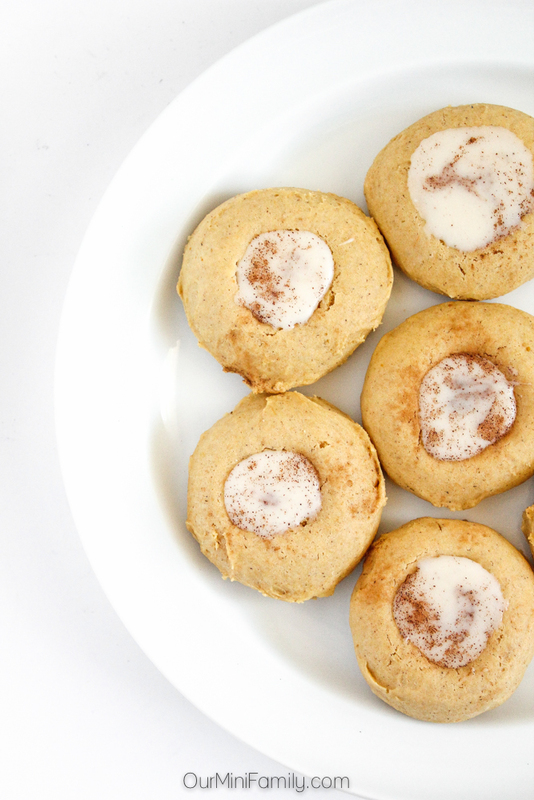 This Pumpkin Eggnog Thumbprint Cookies recipe comes from Michele of Flavor Mosaic, another food blogger from our recipe swap group. I've baked Michele's cookie recipe today to share with all of you, and I invite you to keep reading to see all of the other cookie recipes shared in our swap group. 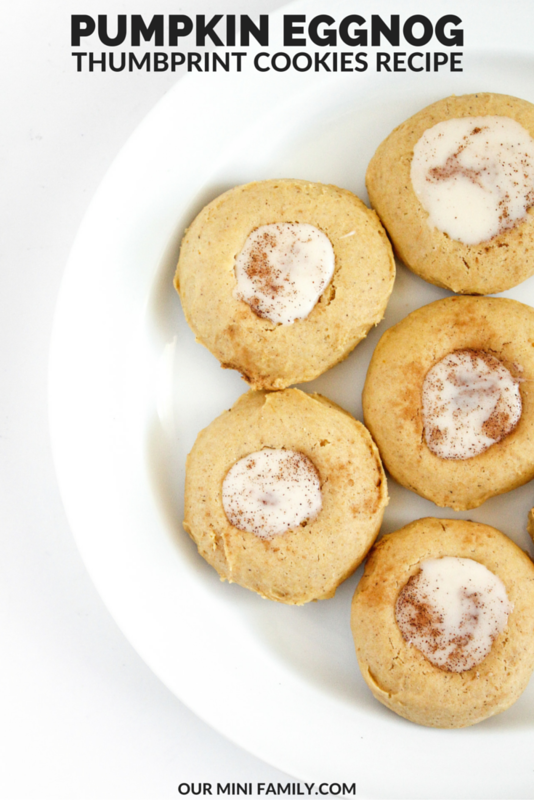 Flavor Mosaic's recipe for "Pumpkin Eggnog Thumbprint Cookies" makes fun and unique Christmas cookies that are sure to be a hit with your family and friends! Preheat oven to 350 F. Line a baking sheet with parchment paper or spray with cooking spray. Beat together Butter spread, brown sugar and granulated sugar. Add vanilla and egg and mix well. Mix in pumpkin puree. In a separate bowl whisk together flour, salt, cinnamon and baking powder. Add dry ingredients to wet ingredients and mix until the dough comes together. Roll dough into 1 inch balls and place on baking sheet. Gently flatten each cookie dough ball. Bake for 10-13 minutes until cookies are golden brown. Immediately after removing from the oven, use your thumb or the end of a wooden spoon (or similar object) to gently press an indentation into the center of the cookie. Allow the cookies to cool completely. Meanwhile, make the frosting. In a small bowl, mix together ¼ cup softened butter, powdered sugar, and rum. Spoon teaspoonfuls of frosting into the center indentation of each cookie. Sprinkle with nutmeg. Cathy's Notes: This cookie recipe from Flavor Mosaic is very soft and pillowy, with a strong doughier texture. 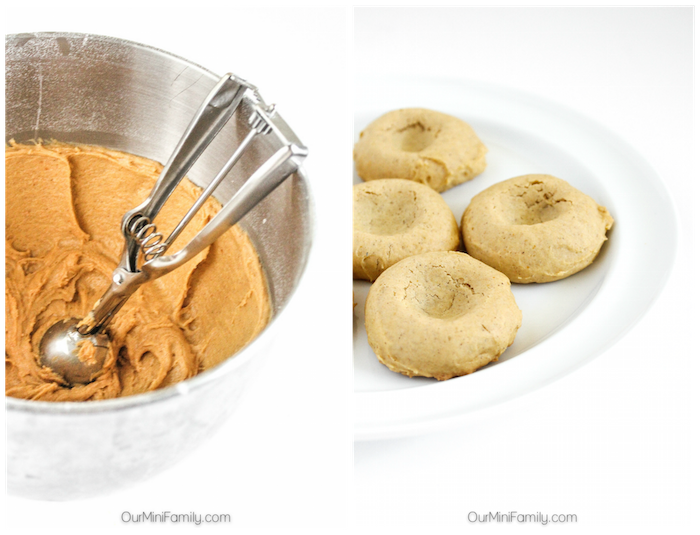 Since everyone has a personal preference when it comes to the perfect cookie, I wanted to offer a small change you can adapt when baking these cookies: if you prefer a more classic cookie with a little bit of crisp on the edges, I recommend subtracting 1/2 cup of flour from this recipe. Also, I'm a sucker for icing, so I adapted this recipe into an icing filling instead of frosting. 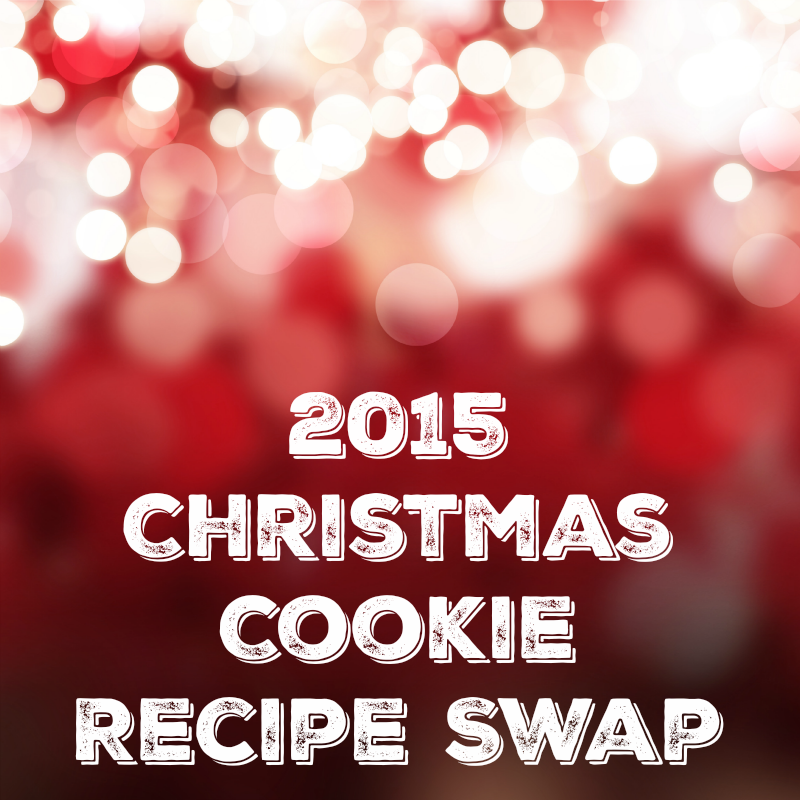 I invite you to check out all of the other Christmas cookie recipes shared in our recipe swap! Look at all of these fabulous cookie recipes! Comment below and tell me what YOUR favorite Christmas cookie is! Hi Cathy, thanks for including me in the cookie swap. I love the variety of cookies. I love seeing everyone's recipe tweaks as well. My pleasure! Thanks for letting me share your recipe! Everyone's recipes look awesome! Thanks for stopping by, Nettie!